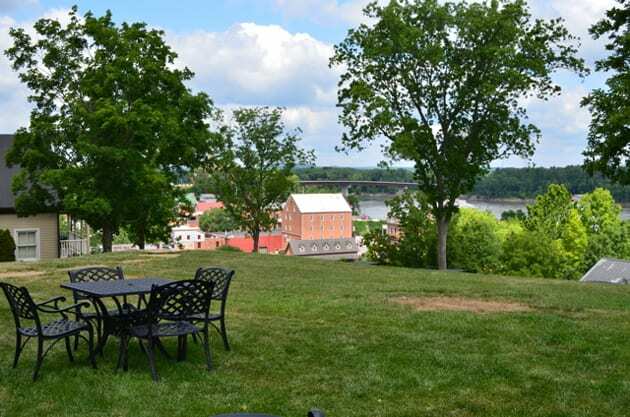 Sitting on board a flight to St Louis, I’m reminded of my visit to Hermann Missouri, the charming town situated along the Missouri River in the heart of the Missouri Wine Country. The location of Hermann is reminiscent of the Rhine River Valley and the quaint German Towns that reside along its banks. The German influence on Hermann is very evident as you walk the streets, dine in restaurants and view their historic buildings and furnishings. I was fortunate to spend the day, touring Hermann Missouri with Jim Dierberg, a prominent community member and owns two of the wineries in center of town, Hermannhof, and Dierberg Star Lane. Jim’s influence in restoring the town is quite evident. 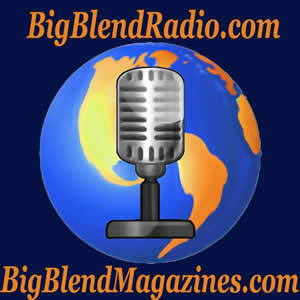 One notices the continual extensive renovations that have occurred over the years. Jim’s vision, preserving the customs and history by creating a living history museum. 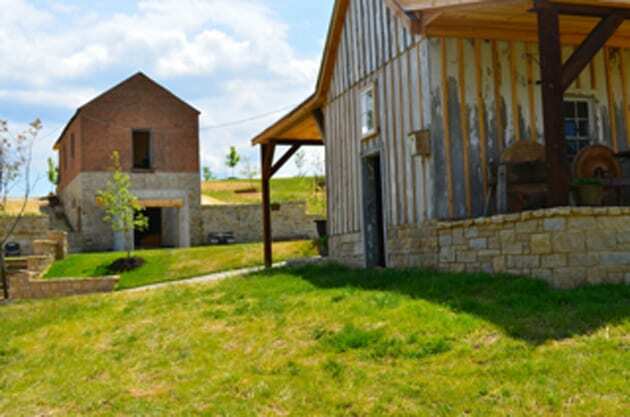 This concept brings all the elements of the 19th century together through the restoration of homes, installation of period furnishings, the recreation of farms, blacksmith shops, and carriages. The wineries help augment this work in progress. As I spoke with Jim, I detected a tremendous love for this area. There was a gleam in his eyes as he showed me the various aspects of Hermann Missouri. Locals could not stop praising what Jim Dierberg has brought to this community. 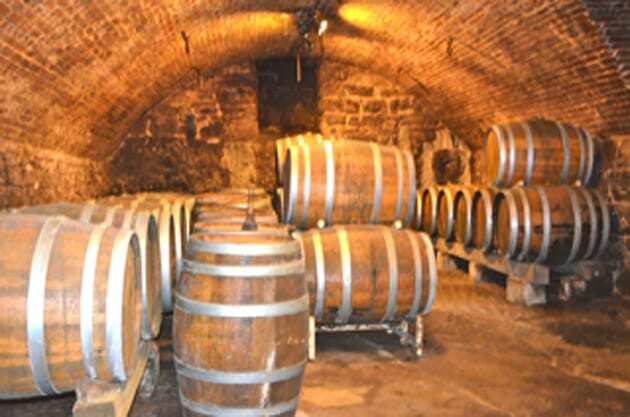 Many of the original wineries that date back to the 1800s still exist and have become part of what is called the Hermann Wine Trail. The trail consists of six wineries spanning from Hermann to New Haven. The wineries include Stone Hill Winery, Hermannhof, Adam Puchta Winery, OakGlenn Winery, Bias Winery and Röbller Winery. If you are looking for history and traditional wines from Missouri, the Hermann Wine Trail offers just that. Stone Hill Winery is the oldest winery in the area. 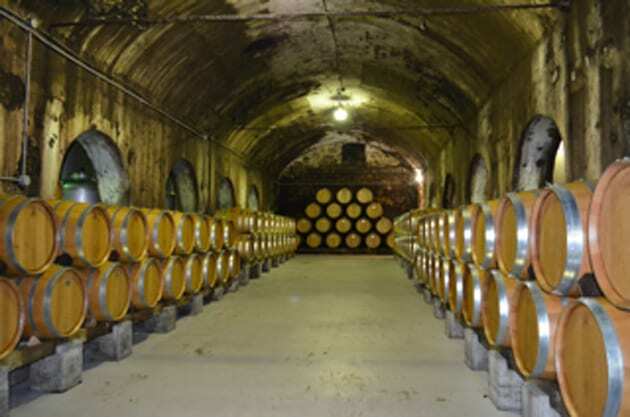 Its beginnings trace back to 1847, and by 1900 it was the third largest winery in the world and second in the nation. Since 1965, the Held Family has owned this winery. The winery is built on a hilltop overlooking the town of Hermann. The views are enchanting. 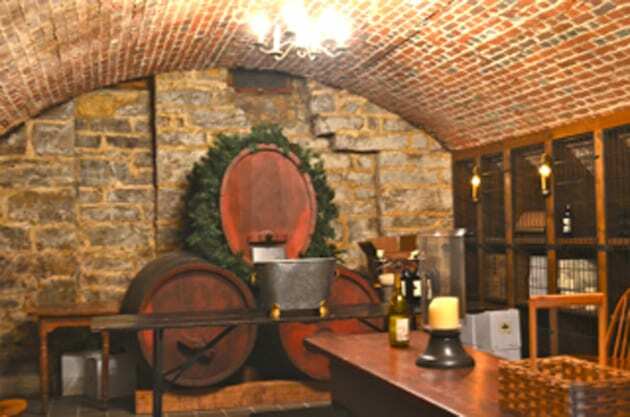 In addition to Stone Hill’s award-winning wines, one must tour its cave, a stone cellar that during prohibition grew mushrooms and kept people employed during this bleak time in our history. Today the cave resumes its original use, storing and aging the wines in oak barrels. Hermannhof Winery dates back to 1948 and features ten stone cellars in a brick superstructure that represents one of 100 Hermann buildings listed National Register of Historic Places. Initially, Hermannhof functioned as a brewery and winery. Many small wine growers used the Hermannhof facility to produces their wines. In 1974 the Dierberg Family purchased the winery. 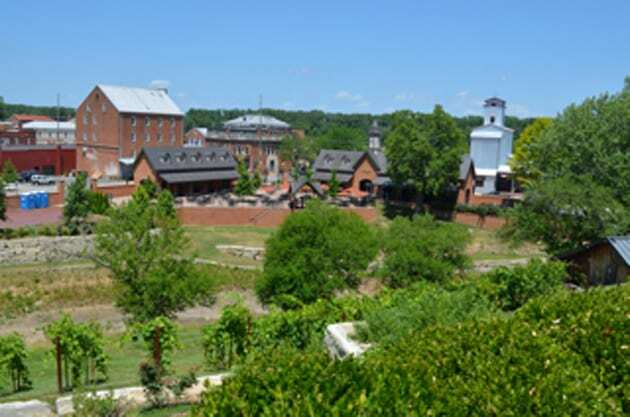 The historic cellars are used in the production of their wines, mostly holding the white oak barrels made in both France and Missouri. Hermannhof uses some of the cellars to produce their Methode Chamenoise styled sparkling wine. The wines are characteristically sweet, appealing to the Midwest palate. Hermannhof like the other wineries does have some drier wines. I enjoyed the Seyval, a French hybrid with characteristics like Sauvignon Blanc. Hermannhof’s flagship wine, White Lady of Starkenbburg reminded me of a German Riesling. Adam Puchta is the oldest family-run winery in Missouri. The Puchta family opened the winery in 1855. The winery is off the beaten path but offers a different type of adventure in wines. This winery seems more countrified than other area wineries. As a winemaker, Tim Puchta prefers to create drier styled wines, as evidenced by the Vidal Blanc, Chardonel and my favorite the Dry Rosé. What makes this winery stand out are the Ports and Sherry. Adam Puchta offers two ports, the Signature Port and the Anniversary Port. Both are excellent. One must try the 1855 Sherry. The Carmel flavor enhances the sherry, which ages 6-7 years. Although I did not visit the winery on this particular trip, I tasted the wines of Röbller Winery at an event I attended in St Louis. I was quite impressed with this family-owned winery. The wines had the depth and quality of California wines. For those that crave a fabulous California wine, you cannot go wrong with the seventh winery on the Hermann Wine Trail, Dierberg & Star Lane. Located adjacent to Hermannhof Winery, Dierberg Star Lane features some of the premier wines that Jim Dierberg produces in the Santa Ynez Valley, Santa Maria and Sta Rita Hills regions of Santa Barbara County. While visiting Hermann Missouri, one must visit Hermann’s Museum at the German School. The museum originally a school details the history of Hermann from its very beginnings when the German Settlement Society of Philadelphia founded it in 1836. The town of Hermann is filled with Antique Shops and Galleries. One shop where you can view the works of local artists is the Kunstlerhaus Gallery & Pottery Shop. Those who love sausages and Bratwurst must visit Hermann Wurst Haus. 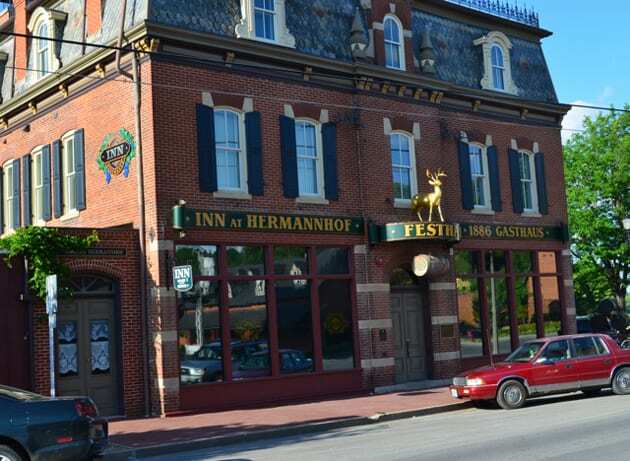 My visit to Hermann Missouri included a stay at the Inn at Hermannhof, which I highly recommend. 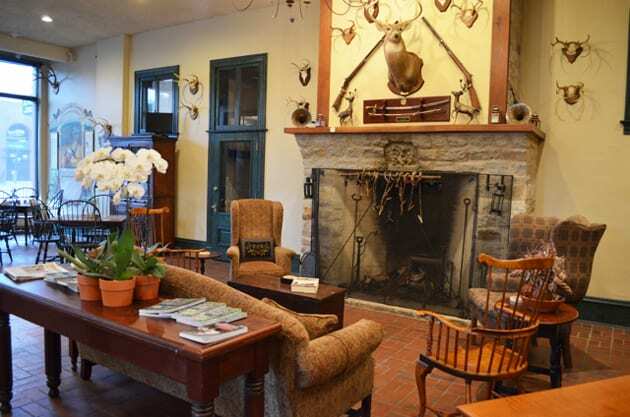 This charming Inn and its cottages overlooking the town and Missouri River have been completely restored in a cozy, comfortable style yet has all the modern luxuries we look for when on the road. The main quarters of the Inn At Hermannhof are located in the reconstructed Empire style Festhalle. In the mid-1880s the Monnig Store, an all in one hardware, mercantile, pharmacy and post office utilized the first floor of the Festhalle/Hermannof Inn. The upper floors housing eight guest suites were originally the home of its proprietor. The cottages were the original Haus Wineries of Hermann. Each house has been restored forming a group of 19 lovely appointed guest suites. Each suite is decorated with period furniture typical of the town at the turn of the 19th to 20th century. As the Inn At Hermannhof is a bed and breakfast, all guests congregate in the Festhalle for a delicious breakfast. The meal begins with a smoothie or yogurt parfait. The French Toast looked scrumptious. Knowing that I had allergies the management of the Hermannhof went out of their way to provide me with oatmeal, which from what I gathered was not a regular breakfast menu option but showed that the Hermannhof deliberately tries to please all their guests. Dining in Hermann Missouri is very casual, and I experienced two of the local restaurants. The Vintage Restaurant resides in the original stable and carriage house at Stone Hill Winery. The booths of the restaurant were the horse stalls and as you can guess the restaurant has a horse theme to it. Being from the west coast where fresh fish is quite abundant, I have to say the salmon that I tried was exceptionally tender. Of course, the wines are those featured at the Stone Hill Winery. After sampling several of the wines on the list, I opted for the full body, rich and fruity Norton. My second night took me to The Cottage Restaurant, which is definitely off the beaten path. The restaurant is located in a cottage type home in a setting that makes you feel like you are in a forest. 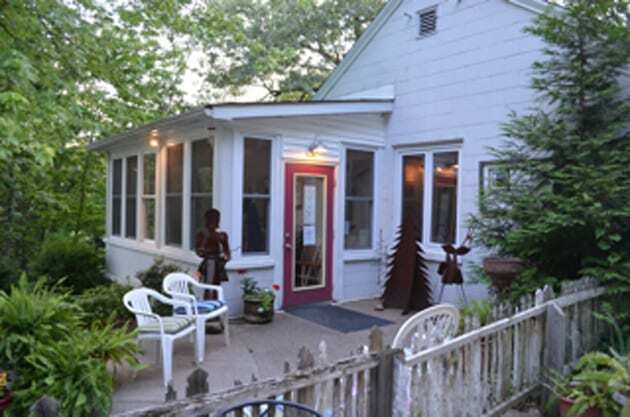 The Cottage is very artsy and includes an outdoor area, perfect for an Al Fresco dinner. The food is very much home-style cooking and very tasty. As I reminisce about my journey to Hermann Missouri during my flight back to St Louis, I am looking forward to my current trip where I plan on returning to New Haven to tour the Röbller Winery and discover more about their wines.